This unique park provides one of the last unaltered views within the City of Jacksonville of the creeks, saltmarshes and uplands that collectively comprise the Timucuan Preserve. There is no fee to enter the park, there is free parking, and more than 16 miles of hiking and mixed-use trails fit for those looking to explore the natural side of Northeast Florida. You can enjoy a wide variety of eco-adventures in this natural park so be sure to bring your hiking shoes, your bike, binoculars, a kayak and even your horse! Another unique feature of this park is that it connects to both Cedar Point Preserve and Betz Tiger Point extending your adventure even further. Birding: Song birds, owls, woodpeckers, turkey and bobwhite reside in the park all year long. You can also spot woodstorks, roseate spoonbills and egrets. Some must-see residents of the park during the winter is a pair of American Bald Eagles that nest in the pines. Paddling: A canoe/kayak/paddleboard launch is available to reach the marshes. Enjoy the natural sites, the calm waters and discover the wildlife that can only be found here. Hiking: This State Park offers free parking plus a 3-mile hiking loop, and more than 12-miles of multi-use trails. You will explore ecosystems of sandhill and scrubby flatwoods, basin swamps and salt marsh creeks, all in just a few hours. Enjoy a breakfast picnic under the tree canopies. 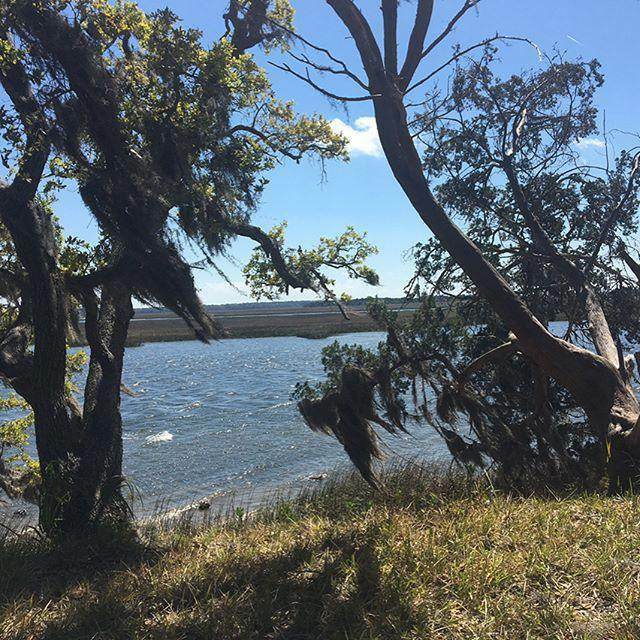 The best part of hiking this park is that its trails connect to other adjacent City of Jacksonville parks including Betz Tiger Point, Cedar Point and the Jim Wingate Preserve. Horse Equestrian Trail: Bring your horse and explore the multi-use trails at the park.